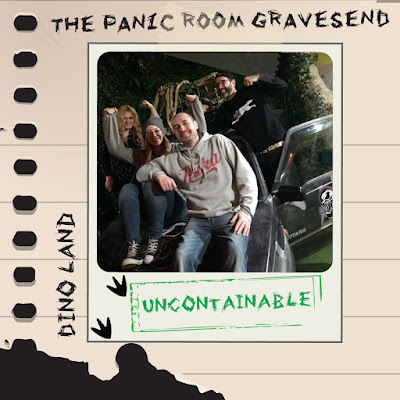 We made the road trip to The Panic Room's Dino Land in Gravesend on recommendation from another escape room company who thought we’d enjoy this challenge. 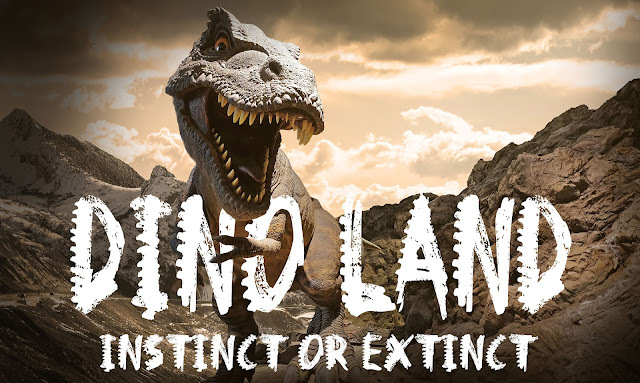 Having read the blurb online with the promise of running through Jurassic headquarters, coming face to face with prehistoric predators with the addition of live actors - and a generous 75 minutes to escape - we attended this next generation room with high expectations. On arrival we were taken into a room to watch a variation of the fun signature Panic Room video explaining the rules of the game. Then we were escorted to the game area by our Ranger (who stayed with us for large parts of the duration of the game) and our escape began. The set was impressive and the attention to detail in the decor and theming really did transport you to a prehistoric past. The puzzles whilst clever leaned more towards those of a repetitive nature, often with the objectives being clearly understood from the outset. The process of solving them being time consuming and on occasion frustrating rather than the lateral thinking clues we’ve become accustomed to in the escape genre. And if were honest it's the unorthodox puzzles that we probably prefer. Whilst we appreciate this is an entirely personal preference, the room was akin to a Crystal Maze style game with team members working together to complete often slightly monotonous tasks. This probably translates better for team building, work-based away days or families who’d enjoy the bonding aspect, rather than those seeking more clue-based challenges in order to progress further in the game. The puzzles didn’t seemingly link chronologically for us to move forward within the story either, it was more like a series of sub-missions than having a chain of events to follow. The technological additions and use of sirens, lights and smoke machines positively added to the tension and atmosphere of the game. The use of live actors within the game is promising for the future of escape rooms, and we did leave extremely impressed at how the space was utilised so cleverly! It's worth mentioning that there were a couple of tech issues in the audio department - Our walkies were replaced twice and the overall "background" music, at times, drowned out the all important audio for clues - this, at least for us, was very frustrating. It felt like a simple mistake that shouldn't have happened. Surely these things are checked before each new team enters? After all, it's all about creating the right atmosphere and maintaining the illusion. It's a real let down when something like this spoils aspects of the game. Given the option we’re more inclined in preference to rooms where you’re left to your own devices without the input of a member of staff so readily available, as it’s quite easy to be immediately lead to a resolve when you hit a brick wall. Although sometimes frustrating, it’s those "Eureka moments" when you finally find on your own way that makes for a great escape game. It’s still worth the visit, especially as Dino Land is not like any escape room we’ve played previously. However, attend knowing the emphasis here is definitely more geared towards it’s clever theming rather than the quality of the puzzles themselves. Finally, did we escape?... Well, yes... But because of the game being such on a grand scale there are no indications throughout that you are on the clock (We didn't even get a response when we asked our host how long we had left! ), which in some part takes away the sense of urgency and dare I say Panic, that this company is so proudly branded by.